Secondly, I want to make sure there are no running sync daemons, login's, preferences and nothing left cached on disk, so that I can perform a clean removal. 0 to upgrade, 0 to newly install, 10 to remove and 6 not to upgrade. After this operation, 6,116 kB disk space will be freed. 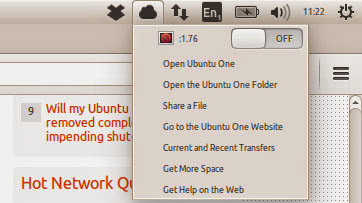 Original source: Ubuntu One website - the support pages used to be there but no longer exist, so no point my giving the URL.